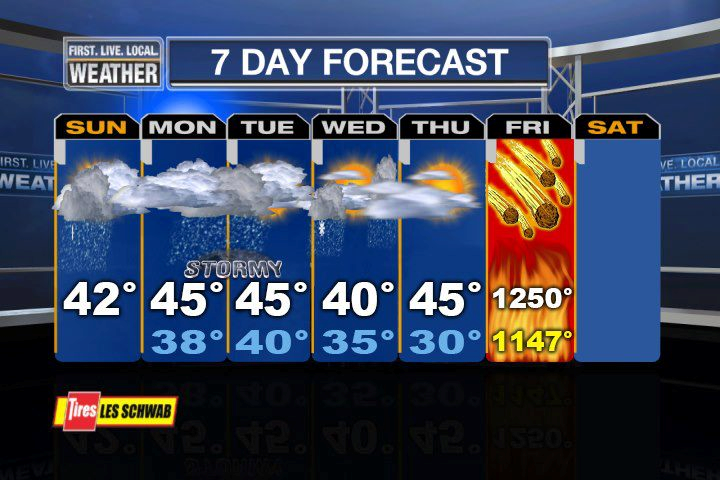 Just in case you are spending this holiday season somewhere else other than the PNW, we are getting dumped on up here. Close to 100" inches in the last week! The road to Mt. Baker has been closed the last three days due to downed trees, so it is ripe for the plunder this weekend! The Powsurf Chronicles Episode 4: Big Waves from Grassroots Powdersurfing on Vimeo. Here's a clip from Sweetgrass's new flick. It's not usually what comes to mind when you think of a ski movie, but that's not a bad thing, now is it. VALHALLA: A New Film From Sweetgrass Productions from Sweetgrass Productions on Vimeo. For many here in the northwest, skiing and fishing go hand-in-hand. Here's a great video from the Provo Brothers about taking on two of their favorite things. Steelhead and Spines- The Provo Bros from The Provo Bros on Vimeo. I've been all over the country in the last three weeks. After an impromptu trip to NYC to do some hurricane disaster relief work (cutting down massive trees), I headed to Chicago for Thanksgiving then to Utah for some desert splitters. I spent the majority of the fall last year climbing in Indian Creek and now I remember why. 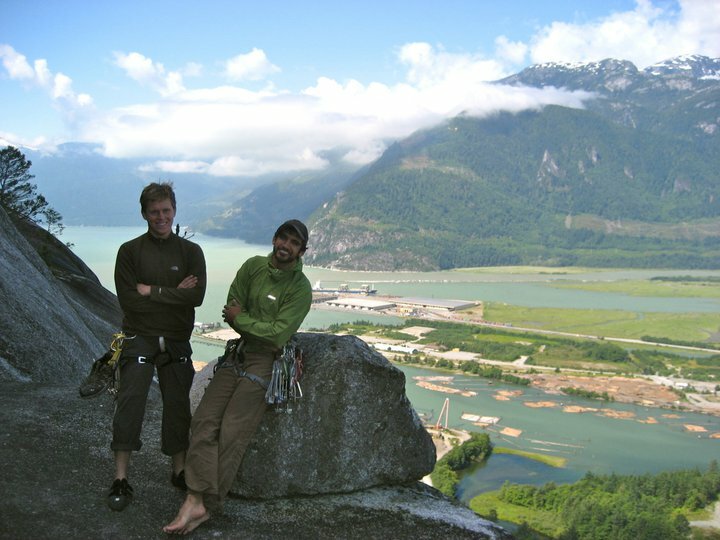 World class climbing, great temps, $35 hotels with hot tubs. After a long October in Seattle waiting for the rain to turn to snow, the desert sun was the relief I'd been waiting for. Our friend, Dr. Sky took a break from the particle reactor at the lab in Los Alamos to meet us in Moab for some adventures in splittersville. One of our objectives was the classic route, In Search of Suds (5.10+, III) on the impressive tower, Washer Woman. It was a bumpy, uncomfortable 2 hour ride from Moab in Sky's 1980 something AWD honda civic. He ensured us that his tires had cost more than his car and we wouldn't get stuck back there. We finally arrived at the base and noticed another car. Once we hiked to the top another team of three was just starting the 1st pitch. We were really worried that we would be benighted after waiting for them for an hour but decided to climb anyways, starting the climb at about 1pm. The first pitch was a super fun, long 5.10-. Hands at the bottom with a nice little overhang to pretty wide off-width (#4 or 5). 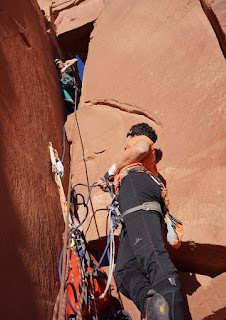 I led p2, 5.10-, which started at the "window" and followed up a nice hand crack to off-width chimney with good pro in the back. p3, 5.10+ led by the Dr. was a fun overhangy pitch with nice cracks and face holds reaching us above the Arch in the Washer Woman. It was getting dark at this point and we decided to rally to the top as we see the other team start their rappel. p6, 5.10+ A fun face climb that Sky leads. A bolt ladder leads us to the top as the sun had long disappeared behind the rusty orange desert plateau. 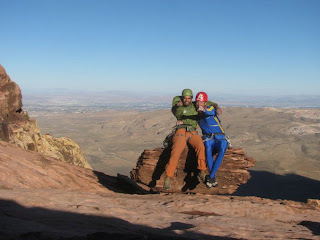 This was probably one of the most exciting rappels I've ever done. 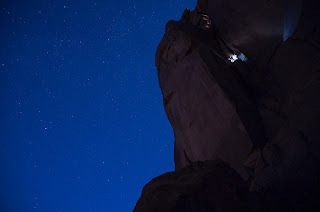 It was a free-hanging rappel by headlamp through the giant arch. We made it into town to find that the only place in Moab that serves food after 10pm was Denny's. And so we finished the day the best way that we knew how, we gorged ourselves with nachos and grand slams. 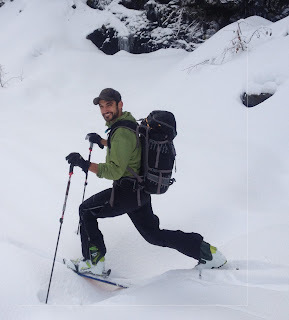 Backcountry skiing or boarding is one of my favorite activities. It's quite a nice departure from ice climbing, which is also one of my favorite activities. 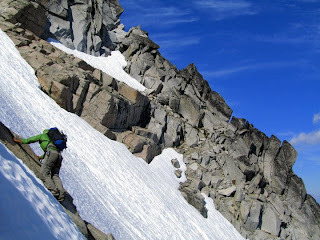 In many areas, both backcountry skiing/boarding and ice climbing put us into avalanche terrain. To travel in these areas, you must learn about avalanche safety! The first thing to do is take an avalanche safety class. Another wonderful resource is your local avalanche information center, which offer free observations, snowpack discussions, and recommendations. Remember that they are information and not gospel. You need to combine this resource with what you observe in the field! West Central Montana: Missoula Avalanche Org. Welcome to winter! 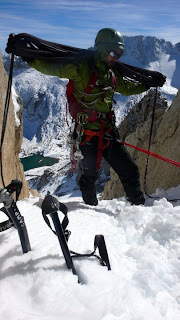 Not the calendar year, of course, but the de facto “winter season” – skiing and ice climbing! I am so excited to spend the winter in a place that has a strong winter. Which means lots of backcountry skiing! 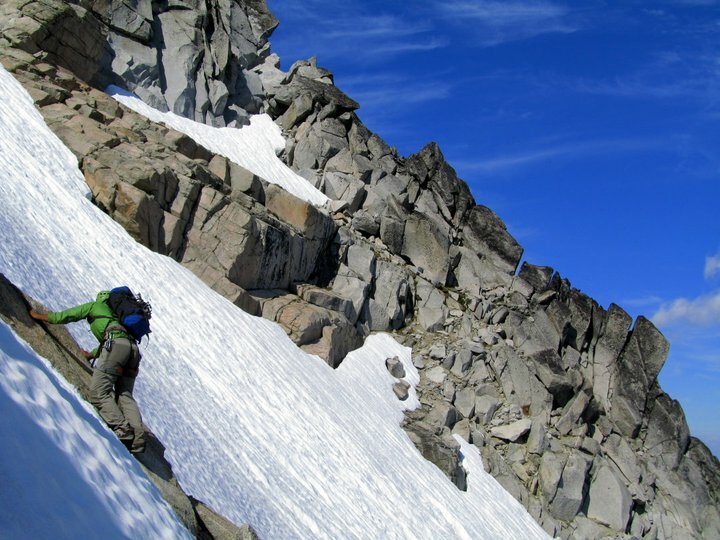 Backcountry skiing is beautiful, but has more risks than resort skiing. The biggest concern is avalanches. 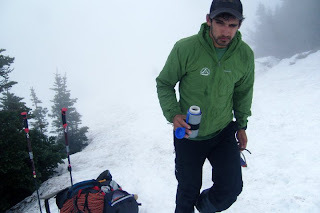 In the backcountry, you must make your own decisions – and live with the consequences. As a result, skiers in the backcountry bring an array of tools to assist in the (unlikely, unfortunate) event of an avalanche. At several ski resorts’ backcountry areas, for example, you are only allowed to “duct the ropes” and enter the backcountry (unpatrolled) area if you have a beacon, probe, shovel, and partners. After all, even if you have the right gear, if you are alone, no one will be there to dig you up should you get buried. Other pieces of gear that have entered into the backcountry skier’s avalanche toolkit are Black Diamond’s Avalung and BCA’s Float. The Avalung is a really cool device. If you are buried and have an Avalung (and are using it properly), you can essentially breathe while underneath the snow. Snow itself has quite a lot of air in it. The Avalung allows you to breathe this air in, and doesn’t create an ice lens near your mouth. If you simply have your hand out in front of your mouth to create a small air pocket (a good idea if you don’t have an Avalung), even with this small air pocket, you will run out of air before long because warm, moist breath will make an ice lens on the pocket and not allow air to pass in. The Avalung itself is quite simple. There is a tube (that looks a bit like a bagpipe mouthpiece) through which you breathe in and out. The intake is in a different place as the exhaust, which prevents using up all the air in one spot and also prevents the ice lens mentioned above. The standard Avalung weighs a mere 9 ounces and costs about $140 – a reasonable purchase considering its potential benefits. They come in three sizes for different size people. 1. You must have the mouthpiece IN your mouth while traveling through avalanche terrain. It is unlikely that you will be able to bring the mouthpiece to your mouth in you get caught in an avalanche. 2. You MUST have the Avalung on the outside of your clothing. If it is underneath your jacket, for example, you will not be able to breathe air from the outside! So, if you are going to change your clothing, you need to replace the Avalung to the outside. 3. Avalungs come built into backpacks! This is a great solution to the previous problem, since your pack is almost never covered. Make sure to have the Avalung vent areas open (not covered). Black Diamond makes a line of packs that have Avalungs built-in. The only drawback is that you cannot take the Avalung out of one pack and put it in another. You would have to buy multiple Avalung packs. The line ranges from the tiny 11-L Bandit pack, meant for short jaunts in the sidecountry or heliskiing, to the 43-L Anarchist, perfect for multi-day backcountry tours and ski mountaineering objectives. I look forward to testing out my Anarchist this winter. I’ll post a review when I’ve had enough time using it. One thing to keep in mind is that this will not make you invincible. Many avalanche victims are injured or killed by the trauma – the force of an avalanche – and not by suffocation. The Avalung will not of course do anything to help this. To reiterate, make sure to keep the mouthpiece in your mouth if you think you might be caught in an avalanche. It is much easier to keep the mouthpiece in your mouth than it is to put it in while you’re being caught by a slide. Please take an avalanche course before you travel in the backcountry - know those skills! Enjoy, be safe, and make sure to travel in the backcountry safely! REI is seeking a few additional Beacon instructors and a few race course volunteers for the Baker Beacon Rally on January 6th. Beacon instructors need an AIARE level 1 or Canadian equivalent; more importantly they need to be comfortable showing signal search, course search, fine search, pinpoint and probe technique. No shoveling technique is presented with the Beacon instructors; Steve Christie will have a diorama and a revolving 15 minute talk on strategic shoveling. Race Course volunteers just need to be ok with being outdoors and have some energy and enthusiasm. Their responsibilities are to monitor the course listening for probe strikes on buried wood boards then giving the ok to proceed. They will also be the ones disqualifying people if they are caught from behind. The race will be 160 meters long, groomed, with two lanes side by side. Two stop points in which you search for a buried beacon, once a probe strike is attained they move on to the second set of buried beacons. First person to cross the finish gets 5 raffle tickets, second gets only one ticket. A separate raffle will take place for the race. Oh yeah, every two minutes another set of people start on the course. If you are caught from behind you are disqualified; pressure is on from the person you are racing next to and from behind. If you are DQ’d you can get back in line and race again. 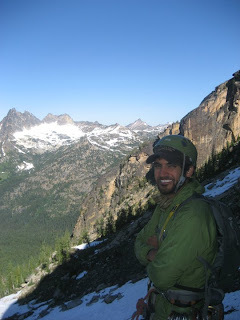 If you are interested in volunteering at the event, please email Jason Martin at jason(at)alpineinstitute.com. Solid. This means that each individual piece that makes the anchor (i.e., nuts, cams, ice screws, pins) are solid enough on their own. See Jason's 12/4 post on "The 12-Point Anchor System" for a great way to quantify how solid pieces are. Ideally, you want multiple pieces that are all capable of holding a significant fall. Redundant. There should be more than one piece for the anchor. Common anchor examples are two bolts, three pieces of rock gear, etc. One exception is a single rock or tree - the BFT (Big freakin' tree) and the BFR (Big freakin' rock) - that can be counted as sufficiently reliable on its own. Equalized. Each piece in the anchor should share the load of the anchor force equally. If there is slack to any single piece, that means that that piece is not loaded, and the anchor is not equalized. No Extension. This means that if one piece should blow out of the anchor (and become useless), there will not be a shock-loading of the anchor as a result. If there is slack to one piece and the others blow out, there will be a severe load directed onto that piece - a shock loading. Prevent against this. Note that the "Magic X," also known as a "self-equalizing anchor" must have load limiting knots to prevent shock loading. Timely or Efficient. These terms relate to the common adage "speed is safety." While speed is not the only important element, it is quite important to make your anchors in a timely manner. If it takes 20 minutes to make an anchor, that can add up to a LOT of time on a long multi-pitch route. The faster you can make an excellent anchor the better. Absolutely take the time you need to make a good anchor, though, a quick but weak anchor is no good! SERENE and ERNEST are basically equivalent. 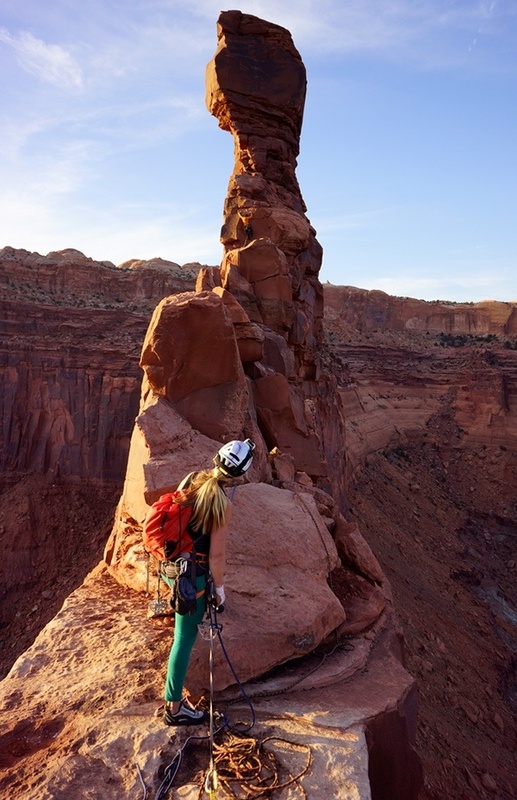 Some climbing schools teach it one way, and some the other way. I'm sure there are other anchor acronyms out there, but these are the two that stick in my head the best. 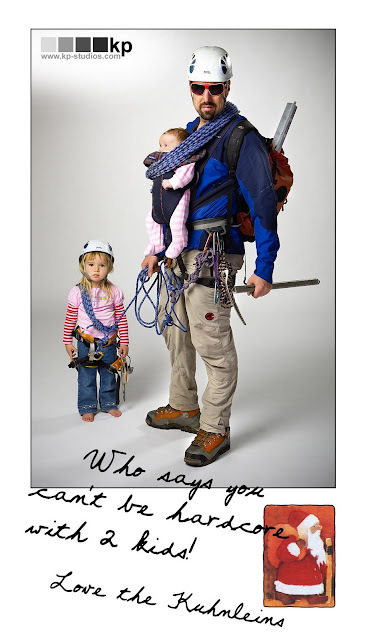 Hopefully they can help you when you are assessing your own anchors on your next climb! 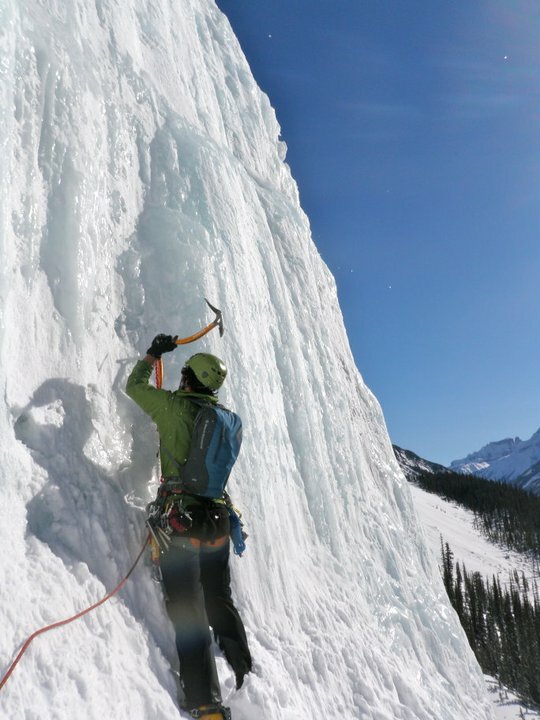 Thursday was the kick-off for the 16th Annual Bozeman Ice Climbing Fest. I have gone to Bozeman with a crew of friends for the last couple years now, and it is always a great time. The big thing this year is the addition of the Urban Base Camp, with a 36' tall artificial wall located downtown. The addition of the wall is a drive for support of a more permanent structure, with the hopes of hosting an Ice Climbing World Cup event next year. For this Weekend Warrior, I'm showing a series of Hyalite Highlights! BIF16_Conrad and the Icebreaker Wall_Presented byTheNorthFace from Ulteri on Vimeo. Genesis. 40 Years of Hyalite Ice Climbing from Bozeman Ice Festival on Vimeo. 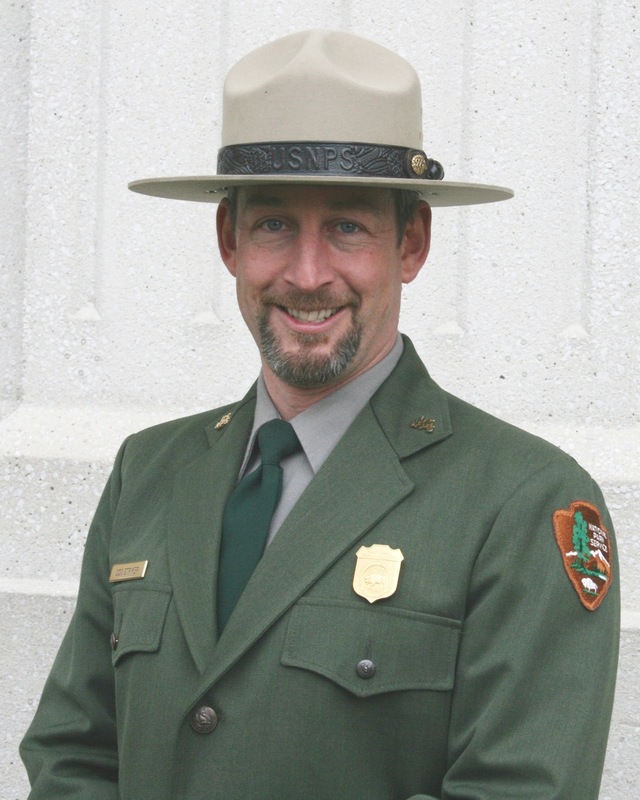 The National Park Service has named Don Striker as Denali National Park and Preserve’s new superintendent. Striker has been the superintendent at New River Gorge National River, West Virginia, for the past five years, and brings a strong background in both business and resource management to his new position. Since 2007, Striker has managed New River Gorge along with the nearby Bluestone National Scenic River and the Gauley River National Recreation Area. The parks annually see more than one million visitors, and include four visitor centers and more than 100 access points. He has been instrumental in improving relationships with state government and local partners, building a large cadre of volunteers, and managing significant construction projects. Prior to working in West Virginia, Striker served as a special assistant to the Comptroller of the National Park Service, as superintendent of Mount Rushmore National Memorial (South Dakota), as superintendent of Fort Clatsop National Memorial (Oregon), and comptroller at Yellowstone National Park. "I am deeply humbled to have been asked to serve as the chief steward of one of our country's most spectacular and iconic parks,” Striker said. “My wife, Gretchen, and I are excited to be moving to Alaska, a goal we've long held. We are really looking forward to becoming productive partners in our new community.” Striker will move to Alaska in January. Denali National Park and Preserve is Alaska’s most recognized park, hosts more than 400,000 visitors every year, and encompasses more than 6 million acres that includes Mount McKinley, North America’s highest peak. Striker replaces Paul Anderson, who retired this fall. Jeff Mow has been the acting superintendent. A number of years ago I was working one of our Alpine Mountaineering and Technical Leadership programs with Jonathon Spitzer. Jonathon no longer works for AAI, but we keep in touch. In any case Jonathon asked what system I liked to use to teach anchor systems. At the time I had a system that I thought was clever where I graded each individual piece in a student's anchor with a standard A-F style American public school rubric. Jonathon asked, "have you ever used the 12-point system?" "The 12-point system?" I asked. "What's that?" Jonathon explained that it's a system used to evaluate student anchors. The goal is for the powerpoint in each anchor to have a value of twelve. The value is provided by individual pieces. A good cam or a good stopper is worth four-points. So if you have three good cams or good stoppers, you have a value of 12 at the powerpoint. --A four-point piece is bomber. It should be able to hold a substantial fall. --A three-point piece is pretty good. It should be able to hold a short fall. An example might be taking a fall with your feet at the piece. --A two-point piece isn't very good. It will hold a fall with your waist at the piece. --A one-point piece is essentially aid gear. It will hold bodyweight, but is unlikely to hold a fall. The 12-point concept both plays into and undercuts the idea that you need three pieces of traditional gear to have a good anchor. It plays into it by saying that if you can get three 4-point pieces then you will have a solid anchor. It undercuts it by saying that some pieces might not be valued at four points. Note that you are not required to use lockers in the pieces and that these could have been non-lockers. There are three additional pieces to this puzzle. The first is that the pieces must be good. In other words they have to be placed appropriately to achieve their full point status. The second is that the rock that the pieces are placed in must be good. 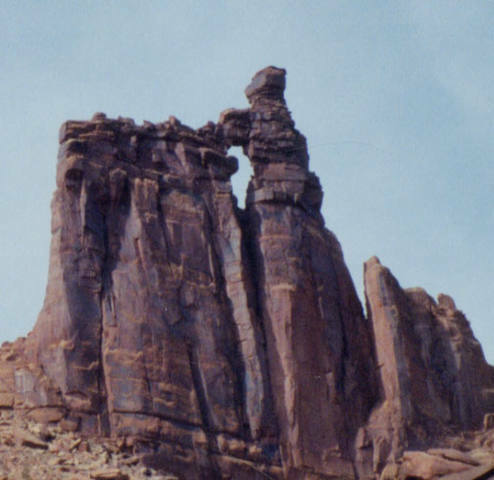 If the rock quality is poor, you may have to subtract points. And the third piece of the puzzle is that due to weird rock, flaring cracks or a lack of pieces that fit properly, you may not be able to build a 12-point anchor with three pieces. The rock may force you to use four, five or even six pieces. same way, by building anchors on top of anchors. There are times in the alpine when it is not possible to build a 12-point anchor. In this circumstance you may only be able to fashion a four or six-point anchor. To do this, place a piece or two and then tie them off to your harness. Once you're tied in, you can use your body as a supplement to the anchor and then belay directly off your harness with a tube style device. You should only build your body into a 12-point anchor if you need to do so for speed on a very big objective, or you cannot build a system that meets or exceeds 12-points. When you belay off your body it is difficult to escape the belay if anything went wrong...and if you're anchor is terrible, then a belay escape isn't really an option anyway. I just moved into the AAI offices, and I turned 40 this year. My previous life consisted of guiding a couple of Denali trips in the summer and then about another 100 days of guiding in the cascades. Off seasons were spent in Indian Creek, Ut, Red Rocks, NV, The Sierra mountains, and Yosemite Valley. 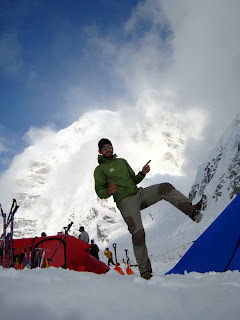 In the winters I ski patrolled and ski/ ice guided in various places around the world. Now I live in the largest city I have lived and traded the uncertainty of trips and where I'm going to live for the security 9-5 and a stable lifestyle. Seems like all guides eventually go through this. With these changes mean I still have to be fit enough to return in the summer and still guide Denali and put in days guiding in the Cascades. I realized very quickly that I needed to start to train. 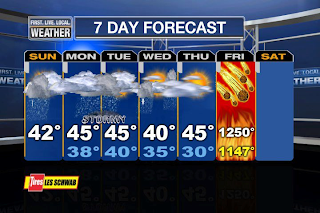 I now have a very similar schedule to many of our clientele. I simply needed to start a training program. I began by getting a simple membership at the YMCA and I am lucky enough that our Y in Bellingham host a great climbing wall. 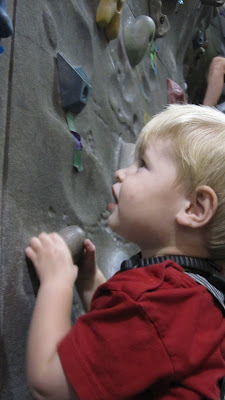 I started to go 3-4 times a week climbing on the wall. My only training background comes from taking a few trainers climbing and the misconception of climb until you can't mover your arms anymore. 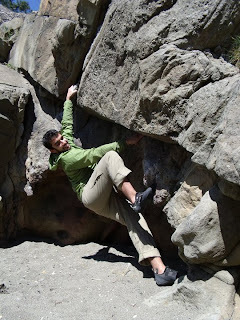 This concept worked about 2 weeks before I injured my shoulder and was unable to climb. I was lost and didn't know what to do. I began to search the Internet on training schedules and workouts I kept running across this CrossFit training. According to wikipedia "CrossFit, Inc. is a fitness company founded by Greg Glassman in 2000. CrossFit's exercise program is practiced by members of approximately 4,400 affiliated gyms, most of which are located in the United States, and by individuals who complete daily workouts posted on the company's website." I found the local CrossFit gym and signed up. The workouts are one hour of sweat and intensity I work out right next to people half my age and 20 years older then me. We all do the same workout but weights and reps are different. The level of intensity is judged by the individual doing the workout and of course encouraged by the coach of the workout. You tend to do a large number of movements with focus on whole body workout. Their may be muscle group focused but you still will be running or jumping on days you seem to be focused on shoulders. On days the your are squatting you may find yourself finishing with a large number of pull ups. At the end of each work out I feel like my whole body has been worked as well as at some time during the workout I went anaerobic and worked on my recovery time. This aspect seems super key for climbing and mountaineering as recovery time is what need to happen on big routes and big mountains. I have already started to feel the difference and the best part I am going 3 time a week my injury to my shoulder seems to be getting better and when I go to the YMCA to do some climbing I feel stronger and I am maintaining a standard level of climbing. This is just proof that if you can't be out climbing, skiing, bike riding, or running all the time having a great training program will help you out. I certainly would recommend checking out a CrossFit program. It is pretty amazing to see how far outdoor adventure films have come. This first clip is from Warren Miller's first ski film from 1949, called "Deep and Light"
This second clip is from TGR's 1996 inaugural huck-fest, "Continuum," which won two awards at the International Film Festival and voted Best Ski Movie of the Year by France's SKIEUR Magazine. Last year, the film that blew me away was Sherpa Cinema's "All.I.Can" If you didn't get a chance to see it, here is my favorite clip, which features JP Auclair. Well, it looks like Sherpa has done it again this year with "Into The Mind." This week I saw the trailer for their new film, and you can tell that it truly is a "film" and not just another ski movie. It sent a shiver down my back, and I think it will do the same to you as well, even if you are not a skier, snowboarder or climber. Be sure to stop by for our International Mountain Day event tonight. There will ge an Avalanche Awareness Seminar, food, drinks, music, a raffle, and more! All proceeds are going to the Northwest Weather and Avalanche Center. For more information, click here.